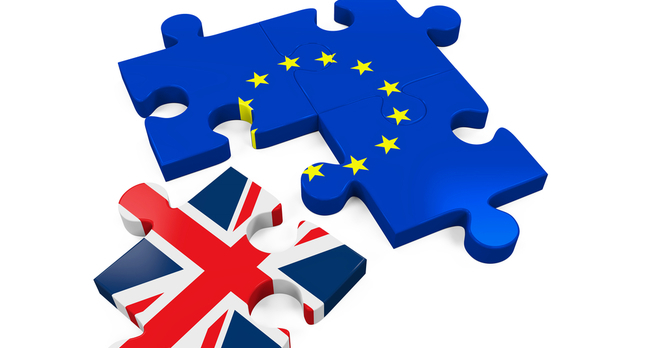 Last week the Brexit process formally got underway, as the UK formally sent the ‘Article 50’ withdrawal letter to the EU on March 29, and the EU in turn drew up a draft of its Brexit negotiating guidelines. The following is a detailed annotation of the text of the EU’s draft guidelines, which I compare throughout to the UK position – which is most fully set out in Theresa May’s Chatham House speech in January (discussed here). The draft guidelines might be changed before final adoption (due for April 29), but at present it seems unlikely there will be radical changes (if any), so my analysis is based on the text as it now stands. I will update this blog post if there are significant amendments. I also make reference to the draft position of the European Parliament (EP). This is less important than the draft EU position, since the European Parliament is not (even partly) the negotiator in the talks – no matter how much it might claim to be, or how much some in the UK media believe that it is. However, the EP position is still worth considering because the EP has a veto over the final Article 50 deal, and this power could influence the actual negotiators’ position. (There’s a full discussion of the EP’s role here). My comments are both legal and political – although we should keep in mind that most legal analysis about Article 50 TEU (which sets out the process of leaving the EU) is purely speculative in the absence of any ECJ case law. While the initial attention in the UK has focussed on a misunderstanding of what the draft EU guidelines say about Gibraltar, the most significant issue is actually that the EU and UK in principle have many negotiating objectives in common. Most notably, the EU has accepted the UK’s objective of aiming towards a comprehensive EU/UK free trade agreement (FTA) without provisions on the free movement of persons or contributions to the EU budget. The devil will therefore be in the considerable details. For example, the EU and UK still disagree on the timing of Brexit talks, (possibly) the role of the ECJ, financial issues (the ‘divorce bill’), the Gibraltar issue (although this will be an issue for bilateral talks with Spain), whether the UK should comply with environmental and other standards as part of a deal, and whether ‘sectoral’ deals are possible. Further points of detailed disagreement will surely emerge as the talks get underway. Is an EU/UK relationship based on a free trade deal the right way forward? Frankly, in my view, it’s not the first or even the second best option. But it is still a vastly better option than reversion to trade with the EU on a ‘WTO-only’ basis, as some are contemplating. This would lead to significant tariff and non-tariff barriers on many goods and services traded, and therefore hurt both sides. There’s a democratic dimension to this too. Many of those voting ‘Leave’ were particularly concerned about EU budget contributions and the free movement of people, and an UK/EU FTA would resolve both concerns. But equally the ‘Leave’ side argued repeatedly that any concerns about a drop in UK trade with the EU were misplaced, because the UK and the EU would sign a free trade agreement without commitments relating to the free movement of persons or EU budget contributions. They also claimed that such an agreement could be reached quickly and easily, on the UK’s terms. This was an obvious falsehood, as the EU’s draft negotiating guidelines have confirmed. But rather than focus on this untruth, I believe we should move forward. It’s up to the government to move on with the negotiations, never forgetting that a reversion to a WTO-only trading relationship with the UK’s largest trading partner would both make a nonsense of the government’s aim of a free-trading ‘Global Britain’ and lack the slightest shred of democratic legitimacy. Moreover, it would damage both sides, and in particular put many people in the UK out of a job. These negotiations won’t be easy, but they are necessary. The time for fantasies, flag-waving and faffing about is over. Note that the guidelines refer throughout to ‘negotiations’. Some have erroneously asserted that the EU will draft a text and present to the UK on a ‘take-it-or-leave-it’ basis. This is incorrect: Article 50(2) TEU refers several times to ‘negotiations’, and the draft guidelines reflect this. The guidelines do not refer to any possible withdrawal of the UK notification, although the EP resolution (point L) assumes that a withdrawal of the notification is possible with consent. There is also an argument that the time period for withdrawal in Article 50 could be extended indefinitely. I will return to this issue another time. Some have speculated that the EP might insist that the UK hold a referendum result on the outcome of the talks, as a condition for its consent to the deal. This would almost certainly backfire spectacularly, and in any event the draft EP resolution does not address this. European integration has brought peace and prosperity to Europe and allowed for an unprecedented level and scope of cooperation on matters of common interest in a rapidly changing world. Therefore, the Union's overall objective in these negotiations will be to preserve its interests, those of its Member States, its citizens and its businesses. The United Kingdom's decision to leave the Union creates significant uncertainties that have the potential to cause disruption, in particular in the UK but also in other Member States. Citizens who have built their lives on the basis of rights flowing from the British membership of the EU face the prospect of losing those rights. Businesses and other stakeholders will lose the predictability and certainty that come with EU law. With this in mind, we must proceed according to a phased approach giving priority to an orderly withdrawal. The EU expressly asserts here its goal of an ‘orderly withdrawal’. Indeed Article 50(2) creates an obligation to negotiate with the withdrawing Member State (implicitly in good faith, as with any other negotiation under international law). Legally the wording of Article 50 equally suggests it aims to ensure an orderly withdrawal, and the ECJ is very likely to interpret it the same way. This necessarily implies that the EU cannot simply walk away from negotiations. However, in the event of a legal challenge it is unlikely (based on its prior case law on the EU’s international relations, which emphasises political discretion for the EU institutions) that the ECJ would rule that the general obligation to negotiate requires the EU to adopt (or refrain from adopting) specific negotiation objectives. Politically this paragraph (and other similar references) confirms that the EU is aiming to reach a deal with the UK. So it would be false for anyone to assert that it is not. The first sentence confirms that the EU will negotiate as a bloc, as Article 50 provides for (‘the Union shall negotiate and conclude an agreement with that State’). This does not preclude informal bilateral talks between the UK and key Member States’ governments, which is common when the EU discusses trade deals with non-EU states. The overall tone here is diplomatic and asserts an intention to reach a deal, although the final sentence also asserts that the EU will prepare itself for a ‘no deal’ scenario as an alternative. This would likely entail getting draft EU laws ready for approval and gearing up national customs administrations et al for a UK departure presumably in one of two scenarios: a) on the date set out pursuant to Article 50; b) if the UK purports to leave the EU in breach of the terms of Article 50. In the latter scenario the EU Member States might not wait for the end of the Article 50 period, but declare that the UK has committed a material breach of the EU Treaties within the meaning of Article 60 of the Vienna Convention on the Law of Treaties, and suspend the UK from the Treaties. The guidelines make no mention of amending the Treaties to remove reference to the UK, but one would not expect them to, since logically that is not an issue which the EU would negotiate with the UK. It is not yet clear whether the EU will embark upon such a course; legally it might be argued that Article 50 is ‘self-executing’ in the sense that references to the UK automatically become legally irrelevant on Brexit Day. One issue might be whether other changes to the Treaties might be made at the same time; if so, this would become difficult to negotiate. Even a purely technical Treaty amendment which only removes references to the UK would take some time to ratify, so one would expect work to get underway soon, if it is going to happen – although there could be a legal problem in that in principle the UK ought to participate in the Treaty amendment process as long as it is a member. One solution might be to draw up such a treaty after Brexit Day, and backdate its application date. Paras 30 and 32 of the draft EP resolution refer to possible changes to EU law as a result of the UK’s departure as an issue for the EU-27, although they make no specific reference to Treaty amendment. Article 50(2) states that the negotiation must take place ‘in light of’ these guidelines. It is unclear precisely what legal effect this has. For instance, could an outvoted Member State challenge the Article 50 deal for breaching the guidelines? As it happens, there is a pending ECJ case which raises (among other things) the legal effect of European Council guidelines in the asylum context, discussed here. The predominant effect of the guidelines will of course be political; note that the European Council is prepared to ‘update’ them (ie amend or elaborate upon them further). They will necessarily be fleshed out in detail in a rather longer treaty text, on the basis of drafts tabled and negotiated by each side. 1. The European Council will continue to base itself on the principles set out in the statement of Heads of State or Government and of the Presidents of the European Council and the European Commission on 29 June 2016. It reiterates its wish to have the United Kingdom as a close partner in the future. It further reiterates that any agreement with the United Kingdom will have to be based on a balance of rights and obligations, and ensure a level-playing field. Preserving the integrity of the Single Market excludes participation based on a sector-by-sector approach. A non-member of the Union, that does not live up to the same obligations as a member, cannot have the same rights and enjoy the same benefits as a member. In this context, the European Council welcomes the recognition by the British Government that the four freedoms of the Single Market are indivisible and that there can be no "cherry picking". The June 2016 statement can be found here. The second sentence matches the UK government’s objective of a future close partnership. Any ‘sectoral’ deals are excluded; this contradicts the UK government position, which had the objective of obtaining such deals. In any event sectoral deals would be potentially vulnerable to challenge under WTO rules, which require any free trade agreement to cover ‘substantially’ all trade in goods (Article XXIV GATT) or services (Article V GATS). It would however be possible for mutual recognition agreements to cover certain sectors of trade. There is no reference in the guidelines to the UK government’s objective to achieve some form of special customs agreement, except implicitly as regards Northern Ireland. It’s not clear whether the ‘single package’ refers more narrowly to the specific issues which the EU wants to negotiate first, or the talks on later status of UK/EU relations. This is important because there is a strong case for concluding a first treaty on withdrawal issues, including in particular the status of UK and EU citizens who have moved between Member States, separately from any subsequent treaties. This paragraph reconfirms the ‘no separate negotiations’ point already made in the guidelines. As noted above, this does not prevent some informal bilateral discussions on specific issues. For instance, UK/Ireland discussions on border issues could be significant, and the guidelines in effect require separate talks between the UK and Spain regarding Gibraltar. They also refer to bilateral UK/Cyprus issues. Article 50 refers to the EU acting by qualified majority vote (without the UK voting), so the common assumption that any Article 50 deal must be agreed unanimously and ratified by all national parliaments is incorrect. However, some aspects of the overall Brexit deal (ie on future relationship) might entail unanimous voting and national ratification; and the EU might be unwilling to proceed with the Article 50 deal against the opposition of one or more Member States. 3. On the date of withdrawal, the Treaties will cease to apply to the United Kingdom, to those of its overseas countries and territories currently associated to the Union, and to territories for whose external relations the United Kingdom is responsible. The main purpose of the negotiations will be to ensure the United Kingdom's orderly withdrawal so as to reduce uncertainty and, to the extent possible, minimise disruption caused by this abrupt change. This refers to the entities referred to in Article 353 TFEU, ie Gibraltar, the Channel Islands, the Isle of Man, and some small remaining semi-colonies. For a discussion of their status, see this House of Lords report. The reference to minimising disruption is important, although qualified (‘to the extent possible’). provide as much clarity and legal certainty as possible to citizens, businesses, stakeholders and international partners on the immediate effects of the United Kingdom's withdrawal from the Union. This asserts the EU’s determination to discuss withdrawal issues before trade issues, whereas the UK has wanted to discuss them in tandem. However, the EU guidelines do not require the withdrawal issues to be fully agreed before talks on post-Brexit issues get underway. The ‘sufficient progress’ test is deliberately flexible; it can be argued that agreement in principle on the main issues will be sufficient, even if some details have to be worked out. Para 14 of the EP draft resolution largely matches this, although the EP will not have any formal role in determining whether ‘substantial progress’ (the slightly stricter test which the EP proposes) has been met. The EP draft resolution (point 15) also rules out conclusion of a ‘future relationship’ treaty before Brexit, so it seems unlikely to happen. This discussion of a ‘future relationship’ between the UK and the EU (concerning trade and other issues) is separate from a possible ‘transitional arrangement’ referred to in the next paragraph (‘may also’). So it is unclear whether a transitional deal could also only be concluded after the UK leaves. In any event, it is arguable that a longer-term deal could be concluded (or at least signed and applied provisionally) on the date of withdrawal, or failing that, it could be backdated to that date. Such an approach would be consistent with the EU’s objectives of an orderly withdrawal and minimising disruption. However, the references to ‘preliminary and preparatory’ and ‘overall understanding’ seem to rule that out. In any event, it would be hard in practical terms to negotiate all the details of the long-term framework within the time available, even though this is Theresa May’s objective. This is particularly true given that some of the available time will be taken up negotiating withdrawal issues before moving on to the ‘future relationship’ talks. It is certainly in the EU’s interest to maintain trade flows and other relationships with the UK, and as noted above this would be consistent with the EU’s objectives of an orderly withdrawal and minimising disruption. They would obviously be ‘necessary’ to the end of avoiding a switch to a WTO-only framework for trade between the UK and the EU. Again as noted already, this paragraph is unclear about when a transitional deal might be concluded, although as compared to the previous paragraph it does not explicitly state that talks could not be completed or that an agreement could not be concluded before Brexit Day. It is also vague about the relevant legal base: is it Article 50 (qualified majority vote) or other Treaty provisions (more likely to entail unanimity and national ratification)? The exact scope of Article 50 is unclear legally; the wording here suggests some uncertainty about what is ‘legally possible’, which it may be necessary to ask the ECJ to clarify (see Annex II). The transitional deal would have to be limited in time, which could reassure those who do not want the UK to remain in such an arrangement indefinitely. It is not expressly clear that all aspects of EU membership would be carried over. In particular, it is not clear that the only transition which the EU would consider would be continuing in force the EU acquis. The distinction is important because a) flexibility on this issue could involve ending the free movement of people, or continuing it with an ‘emergency brake’, from Brexit Day; and b) an ‘enforcement mechanism’ might fall short of continuing EU ‘existing regulatory, budgetary, supervisory and enforcement’ measures. The latter phrase would logically entail keeping in force the ECJ’s current jurisdiction, while a mere ‘enforcement mechanism’ could entail a more limited role for the ECJ (no references from UK courts or direct impact on UK law) or a different dispute mechanism system entirely, such as using the EFTA Court which already exists and rules on certain EU law issues as regards Norway, Iceland and Liechtenstein. However, the more different a transitional system would be from current EU membership, the longer it would take to negotiate, and the bigger the risk of running out of time. The UK government’s position seems to contemplate some form of interim transitional period, without calling it such. The Chatham House speech refers instead to ‘phased implementation’, during which aspects of EU law will still apply. But despite the difference in wording, fundamentally there are strong similarities between the UK and EU positions here. The EP draft resolution is similar (para 28). It sets a maximum time limit of three years for the transitional deal, although otherwise it is as vague as the European Council draft guidelines. It should be noted that Article 50(3) provides that the withdrawal agreement may set a different date (which could implicitly be later or earlier), and that the UK and the remaining EU, voting unanimously, may postpone the overall deadline. The EU, like the UK, places priority on an early deal on the rights of each other’s citizens. While some had claimed that the EU could not or would not address this issue in the Article 50 talks, it clearly intends to do so. The reference to ‘non-discriminatory’ arrangements confirms that there will not be bilateral talks on this issue, as some people had expected. While some have claimed that the EU lacks legal power to regulate the position of non-EU citizens, Articles 77-79 TFEU confer such powers and the EU has adopted a number of laws in this area. In any event, it is strongly arguable that Article 50 confers power upon the EU to negotiate any issue which arose pursuant to the withdrawing Member State’s membership of the European Union, and the status of UK and EU citizens is one obvious example of such an issue. The reference to an ‘enforceable’ guarantee does not necessarily entail using the ECJ. There could be some other form of dispute settlement, or a commitment to make the agreement binding in national law and to hold discussions about any issues which arise might suffice. It should be noted that the guidelines make no reference to the idea, promoted by some in the EP, of an optional right for UK citizens to retain EU citizenship. The EP draft resolution does refer to this issue, but states that such arrangements should be reciprocal (para 27). It is hard to imagine the UK government agreeing to such a deal. This indicates a general intention to retain contracts and legal arrangements in force, if they have been concluded before Brexit Day. This could be relevant to research funding, regional funding or farm subsidies, for instance. It could also be the basis for arguing that UK banks who already have a licence to sell financial services to the EU market can retain it. This is likely to be one of the most difficult issues to negotiate. The draft guidelines do not put a specific figure on the ‘bill’, although press reports note amounts such as €50 billion. There is no reason why the amount of any bill should be paid upfront, as some of it relates to funding over the next few years and to pensions payable over the longer term. For detailed discussions of this issue see this House of Lords report and this Brueghel report. The EU and UK both make a priority of addressing the border issue between Ireland and Northern Ireland. (It should be noted that there is no specific reference to Scotland in the EU guidelines; the EP resolution merely notes that Scotland voted to Remain). There are indications of great willingness to compromise here (‘flexible and imaginative solutions’) and it should be noted that Protocols to the Treaties require the EU to facilitate the operation of the Common Travel Area between the UK and Ireland (the words ‘should also recognise’ these arrangements do not adequately take account of this legal obligation). However, the Protocols do not lay down in detail what happens in the event of UK withdrawal, which therefore has to be the subject of negotiations. Equally, arguments about the history of the UK and Ireland are irrelevant, as there has never been a previous situation when one of those countries was in the EEC/EC/EU and the other was not. There is a specific Protocol to the 2003 Accession Treaty on the position of the UK sovereign base in Cyprus, which will presumably have to be amended in order to take account of any such agreement. Here, despite the overall EU-wide approach to talks, there is recognition that there will be a bilateral agreement between the UK and Cyprus alongside an EU-UK agreement. The EU position is that the UK ceases to be part of any treaty with non-EU countries within the scope of EU law – whether concluded by the EU alone, by the Member States alone (but affecting EU law) or by both together. This is particularly relevant to trade agreements (see discussion by Markus Gehring here) but affects other agreements as well (for example, environmental deals). The UK will likely seek to secure replacement agreements with the countries concerned. This is even encouraged by the EU, which seeks a ‘constructive dialogue’ on these issues. The reference to ‘international organisations’ most obviously refers to the WTO. In practical terms, the issue which particularly arises is ‘tariff rate quotas’, ie allowing in a certain amount of products at a low tariff. Say the EU allows 100,000 tons of olives imported from Morocco at a low tariff: the obvious solution is to split that between the UK and the remaining EU based on recent trade flows (ie how much of those olives were imported into the UK in the last three years, as compared to the rest of the EU?). Non-EU countries will obviously have to agree to this process, and the UK might want to focus particularly on replicating those agreements with a major impact on UK exports: for instance, the EU agreements on the protection of the name ‘Scotch Whisky’. The intention is obviously to move these bodies as soon as possible after Brexit Day, if not before. The UK will not be involved in decisions on where they move to, but will be involved in the logistics of moving them. The EU assumes that EU court cases pending on Brexit Day should remain within the competence of the Court to decide. This is a classic transitional issue and the EU suggestion makes sense, since the cases concern the pre-Brexit legal position. (Compare to the planned Great Repeal Bill, which will provide that pre-Brexit ECJ case law will still be binding). It is slightly more ambiguous as regards pending administrative procedures like competition law and state aid (‘arrangements should be found’). The same applies to cases with EU law issues pending in the UK courts on Brexit Day, or which are brought in the UK courts in summer 2019 relating to a 2018 tax bill, for instance. This paragraph is too limited, as the transitional deal needs to take explicit account of all legal proceedings pending on Brexit Day pursuant to EU law, not just those which involve or may involve the EU institutions: for instance a pending claim to recognise a German court judgment in the UK, or the French authorities’ obligation to execute a European Arrest Warrant issued by the UK before that date. Most implementation of EU law is carried out by national courts and administrations, not EU bodies, and the transitional rules should take account of this. The institutional arrangements will presumably entail an EU/UK Joint Committee with the power to take decisions by joint agreement. There are similar bodies in other EU treaties with non-EU states. The first and third sentences, read together, do not explicitly insist that the ECJ have jurisdiction over the withdrawal agreement (although it will inevitably have jurisdiction as regards the EU side). The reference to ensuring EU autonomy reflects ECJ case law which states that treaties with non-EU countries cannot affect the separate development of EU law or the essential features of the Court’s powers: see Opinion 1/91 and Opinion 1/00. Compare with point 17 of the EP resolution, which explicitly calls for the ECJ to have jurisdiction over the withdrawal agreement. The EU accepts in general the UK position of having a close partnership, including but going beyond trade. There is no explicit reference to the form of the relationship, which is relevant given that it could affect whether the EU side has to vote unanimously and ask national parliaments to ratify any treaty. (EU treaties with non-EU states can be partly applied provisionally pending such ratification).Point 22 of the EP draft resolution hints at a possible association agreement: this entails unanimous voting and usually also national ratification. The EU accepts the UK position of seeking a far-reaching free trade deal, rather than continued single market participation. Note that there is no reference to continuing with the free movement of persons or contributions to the EU budget – two key objectives of the UK side. The timing is an issue, as noted already: no finalisation or conclusion until after Brexit Day, which means that a transitional deal will be important in the meantime. Although in theory this could be on or soon after Brexit Day, there is unlikely to be enough time for that. It is common for EU trade agreements to make some reference to state aid and competition law, although only some of them require the non-EU state to apply EU competition and state aid law as such. The guidelines leave it open as to what exactly the EU side will aim for. In any event WTO rules also contain some restrictions on granting subsidies and set out the possibility for trading partners to retaliate if subsidies are granted, although these rules are less far-reaching and enforceable than those applying to EU Member States. (Note that the EU does not ban state aids entirely, but restricts them to certain cases). The ‘safeguards against unfair competitive advantages’ the EU side wants refers to – among other things – ‘fiscal, social and environmental dumping’. This does not explicitly refer to the adoption of EU law by the UK, and in any event there is no EU law on minimum corporate tax rates. (Compare to para 24 of the EP resolution, which refers more explicitly to EU laws, although to ‘tax evasion and avoidance’ as distinct from tax rates). The UK might argue that it would be sufficient to remain party to international treaties on environmental law and social protection (in the ILO, the Council of Europe and the UN Covenant on Economic, Social and Cultural Rights), and to hold regular discussions on corporate tax rates – which could cut both ways. In any event, many in the UK would welcome safeguards against cuts in environmental and social standards, and would be concerned about how public services could be funded in the event of large cuts in corporate tax. It remains to be seen what exactly the EU side would accept as safeguards, but the EU’s position should be seen in its overall context: as noted already, the EU is not insisting on free movement of people or financial contributions. It is striking that the EU side makes no explicit references to services, where the UK has a trade surplus. If the UK wants to maintain that strong surplus by having an advanced trade relationship that offers more free trade in services than the EU usually agrees (but still falling short of single market participation) this is the condition which the EU wants to set. This matches the UK’s position. Neither side sets out any real details here. There is no specific mention of the ECJ here, and the autonomy issue was discussed above. It’s not usual for the Court to have jurisdiction as regards non-EU states, bar a few exceptions like the European Aviation Area treaty, which facilitates aviation between EU and other European countries. But it is common for the EU to agree dispute settlement similar to the WTO dispute settlement system in agreements with non-EU countries. Interestingly, the EU does not use such systems in its trade agreements in practice, although it does often use the WTO. In short, the WTO system provides for panels of experts to decide on whether there is a breach of WTO law; their decisions can be appealed to an Appellate Body. If a WTO party which was found to have breached WTO law does not comply with these rulings, the victorious party which brought the complaint can be authorised to retaliate against it with proportionate trade sanctions. Dispute settlement bodies are not unique to the EU and WTO – there is an active system in the NAFTA agreement between the US, Canada and Mexico, for instance. Such systems fall short of the legal effect of EU law in national legal systems, but still place some constraints upon the parties to trade treaties. This clause has attracted much overreaction. It is not a claim to Gibraltar territory or joint sovereignty, so there is no need to respond to it with talk of military action. It merely acknowledges that the EU will not apply post-Brexit treaties to the UK unless the UK and Spain have separately agreed to this. It will be up to the UK and Spain to find agreement for each treaty, or failing that to accept that the treaty in question will either not be concluded or not apply to Gibraltar. This reflects the UK’s continued position that it will apply EU law until Brexit Day. Point 5 of the EP draft resolution matches it. The first sentence is ambiguous about a key issue: can the UK already discuss trade deals with non-EU countries? It can’t conclude them without violating EU law (para 23); normally it could not negotiate them either, but does this sentence accept the argument that discussions on a post-Brexit deal would be acceptable, as a consequence of the UK’s position as a withdrawing Member State? The second sentence asserts the remaining EU’s right to meet without the UK, presumably going beyond the talks relating to Brexit without the UK present as referred to in Article 50. However, such meetings must remain informal, as the next paragraph confirms. Compare to point 6 of the draft EP resolution, which more explicitly argues that the UK cannot negotiate with non-EU countries before Brexit, and argues that the UK should be excluded from EU trade talks with non-EU countries if it does. Such an exclusion would not be legal; the remedy in such cases of alleged breach of EU law is for the Commission or another Member State to bring the UK to the ECJ. The UK retains its formal position as a Member State until Brexit Day, although obviously it will have declining influence as there will be little interest in addressing its concerns and the other Member States merely have to wait out any veto or participation in a blocking minority vote by the UK. These procedural arrangements are discussed in the next annex. Here are the December 2016 procedural rules, with annotations. 1. The first step following the notification by the United Kingdom will be the adoption by the European Council of guidelines that will define the framework for negotiations under Article 50 TEU and set out the overall positions and principles that the EU will pursue throughout the negotiation. The European Council will remain permanently seized of the matter, and will update these guidelines in the course of the negotiations as necessary. This refers to the guidelines of the European Council (the Member States’ Heads of State and Government), the draft of which is now available and was discussed above. Article 50 requires the guidelines to be adopted at the start of the process. 2. After the adoption of the guidelines, the European Council will invite the General Affairs Council to proceed swiftly with the adoption of the decision authorising the opening of the negotiations, following a recommendation by the European Commission, and to deal with the subsequent steps in the process. The Council will also adopt negotiating directives on substance as well as on the detailed arrangements governing the relationship between the Council and its preparatory bodies on the one hand and the Union negotiator on the other. These negotiating directives may be amended and supplemented as necessary throughout the negotiations, to reflect the European Council guidelines as they evolve. This follows the normal process of EU treaty negotiation with non-EU countries, as set out in Article 218 TFEU: a Commission recommendation to start talks, and a Council mandate with detailed negotiation objectives, which may be amendment throughout the talks. That mandate will likely be more detailed than these guidelines. The General Affairs Council is made up of Member States’ foreign or Europe ministers, and meets monthly. The Council’s ‘preparatory bodies’ consist of working groups and Member States’ permanent representatives (the latter meets weekly, and is known as ‘Coreper’). 3. The Council will be invited to nominate the European Commission as the Union negotiator. The Commission's nomination of Michel Barnier as chief negotiator is welcome. To ensure transparency and build trust, the Union negotiator's team will be ready to integrate a representative of the rotating Presidency of the Council. Representatives of the President of the European Council will be present and participate, in a supporting role, in all negotiation sessions, alongside the European Commission representatives. The Union negotiator will systematically report to the European Council, the Council and its preparatory bodies. Article 50 leaves open who the negotiators will be, and some had assumed it would be the Council. Nominating the Commission follows the usual approach under Article 218 TFEU. However, including a representative of the Council Presidency (which rotates every six months) and the European Council President (Donald Tusk) in the talks is an innovation, which reflects their importance. The obligation to report back to EU bodies reflects Article 218 TFEU. 4. Between the meetings of the European Council, the Council and Coreper, assisted by a dedicated Working Party with a permanent chair, will ensure that the negotiations are conducted in line with the European Council guidelines and the Council negotiating directives, and provide guidance to the Union negotiator. Article 218 TFEU (and Article 207 TFEU, regarding trade) refer to Council working parties supervising Commission negotiators, so this is nothing new. As regards trade, the Commission refers to the committee which supervises it as the ‘mothers-in-law’ (don’t shoot the messenger!). 5. The members of the European Council, the Council and its preparatory bodies representing the United Kingdom will not participate in the discussions or in the decisions concerning it. This simply respects the wording of Article 50, extended (logically enough) to the Council’s working parties, not just to the official meetings of ministers or heads of state. 6. Representatives of the 27 Heads of State or Government (Sherpas/Permanent Representatives) will be involved in the preparation of the European Council as necessary. Representatives of the European Parliament will be invited at such preparatory meetings. This gives a slightly greater role than usual to the European Parliament. 7. The Union negotiator will be invited to keep the European Parliament closely and regularly informed throughout the negotiation. The Presidency of the Council will be prepared to inform and exchange views with the European Parliament before and after each meeting of the General Affairs Council. The President of the European Parliament will be invited to be heard at the beginning of meetings of the European Council. The first sentence reflects Article 218 TFEU, which calls for the EP to be fully and immediately informed throughout negotiations. The second and third sentences go into more detail, and give a bigger role to the EP than usual during EU talks with non-EU countries. As noted already, however, the EP is not a negotiator as such, although its power to give its consent to the final deal (not referred to explicitly here) nevertheless means it is a significant actor. The additional meetings referred to here will be a forum for the EP to influence the negotiations. There is no reference to the ECJ, which can rule on legal issues concerning draft treaties with non-EU countries pursuant to Article 218 TFEU, at the request of the Commission, Council, EP or a Member State. It is not clear whether the whole of Article 218 necessarily applies to the Brexit treaty process, since Article 50 only refers to some of it. There are also other ways that Brexit legal questions can reach the ECJ: national courts can ask the Court about them, the Commission can sue a Member State (or Member States can sue each other), or Member States or the EU institutions can sue the [other] EU institutions for various aspects of their conduct of the negotiation. Do you thing that they will sort out the status of EEA citizens related to British citizens who are also EEA nationals? (i.e. Lounes case)? I would expect the Lounes judgment late this year, which *might* come after the negotiations on EU/UK citizens have been completed. It will depend which way the negotiations go, ie whether to protect status by reference to existing EU rules or not. Thank you very much for your reply. Regards.